In July 1994, at the request of the Government Accounting Office, the U.S. Air Force completed a thousand-page report to explain the events that transpired in and near Roswell in the summer of 1947. 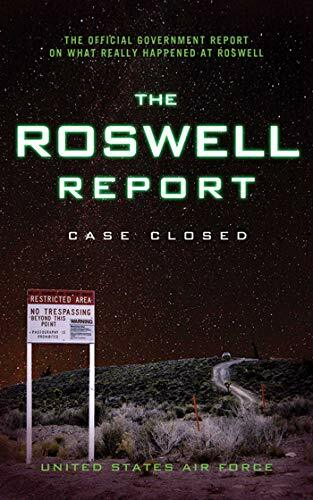 The Roswell Report: Case Closed is the follow up to that report and contains additional materials and analysis intended to reach a complete, open, and final explanation of the events that occurred in the Southwest many years ago. While this explanation may not be as titillating as tales of unearthly craft and creatures, it is a fascinating story nonetheless. Learn what really happened in the desert at Roswell! The United States Air Force is headquartered at the Pentagon in Arlington, Virginia, and also authors the U.S. Air Force Survival Handbook.